Wallman’s book takes you through a brief review of how this came to be and how the problem is growing throughout the developed and developing world. He then charts how people are currently responding: through the minimalist movement; through the rural “simple life” first promoted by the Nearings in the last century; through the more urban “medium chill” version that tries to ignore “the bothersome parts of today’s culture;” and finally, the experientialists who seek to amass experiences more than “stuff,” but are not afraid to acquire a new thing if it improves their experience. The distinctions between these groups, Wallman argues, are extremely important for forecasting the economy of the future. He dismisses the first two responses as unsustainable by a majority of the population. If everyone became a minimalist, it would mean economic chaos; if everyone tried the simple life, it would soon be obvious how one set of complexities had been traded for another. Ignoring the materiality of life seems a dead end for the majority as well. Experientialism, though, as he defines it, is an evolution beyond materialism, not a rejection of material goods. Wallman sees this as the key to the sustainability of a future economy. The experientialist will still consume, but in ways that are essentially different from the consumerism of the past century. This path, he argues, is the most likely to sustain the economy in the future and is a growing trend. Stuffocation is worth reading once and then rereading to make sure you get the nuances and implications of Wallman’s argument. An experience-based culture requires different measuring tools to measure the success of a country’s economy. Businesses will need to find better ways to promote and deliver goods. Employers will discover they must motivate employees differently to ensure their ongoing success. An experience-based culture combines many of the best elements of the past in a view of the world that is not only sustainable, but for more and more people, desirable. If you want to get a glimpse of what the future promises, this is the book for you. 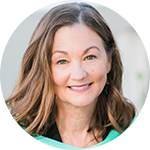 Kendall Hanson is a former senior editor for McGraw-Hill and managing editor for a group of community newspapers. He now divides his time between freelance writing and volunteer work for community nonprofits. I wholeheartedly agree with Hanson. I’d rather amass experiences rather than stuff. Oh I’ve had “stuff” given to me, willed to me, etc., but most valuable among my valuables are my memories…memories of the Grand Canyon, the Great Smokey Mtns, Mammoth Caves, Niagara Falls (you can tell I’m more about nature than man-made “stuff”). 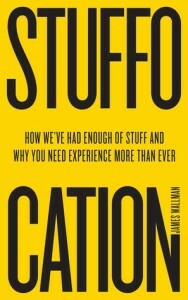 Stuffocation should be the new meme for the 21st century! A perfect description of the things that cling to us!